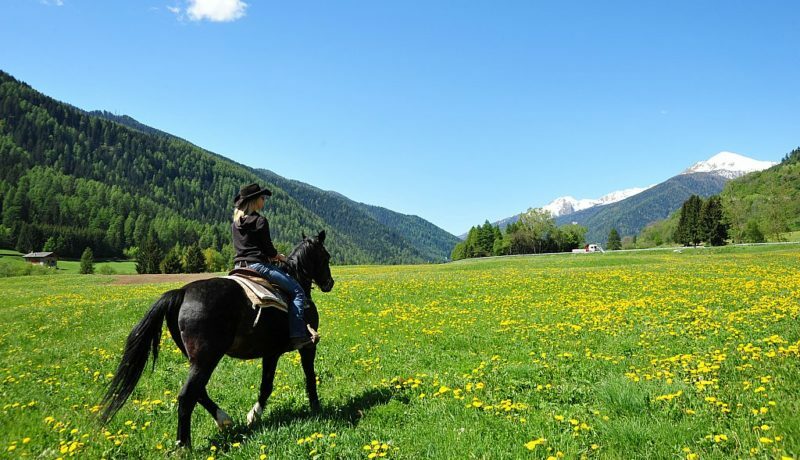 Relax with pleasant horse walks in the lush Val di Sole in the four seasons … flowery spring, summer green, colorful autumn and winter magic. 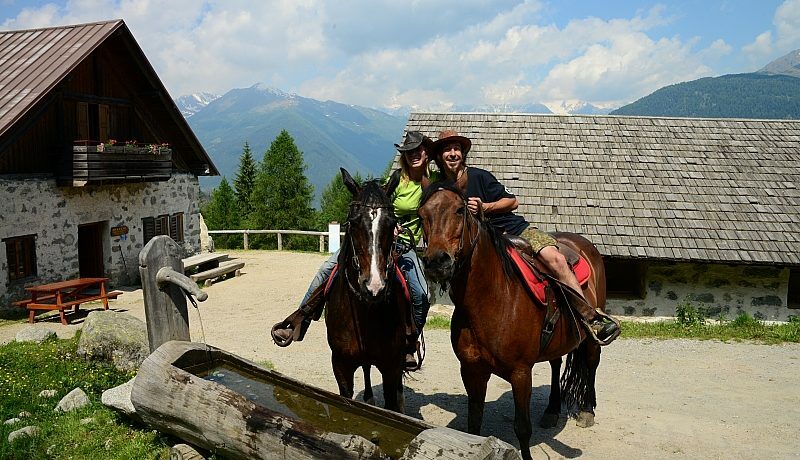 Join the excitement with half-day trek to Lake Caprioli or a whole day .. maybe with a night in a mountain hut! The walks and trekking are organized on reservation at number +393386078681 or doing always in the company of a guide and may also be suitable for beginners. 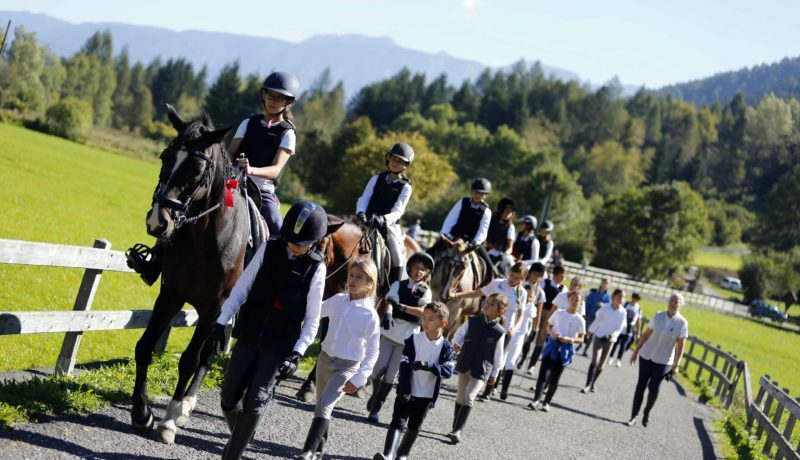 To ride a horse is required long pants and closed shoes medium heavy. The center provides the mandatory Cap, gaiters and protective jacket for the little ones. 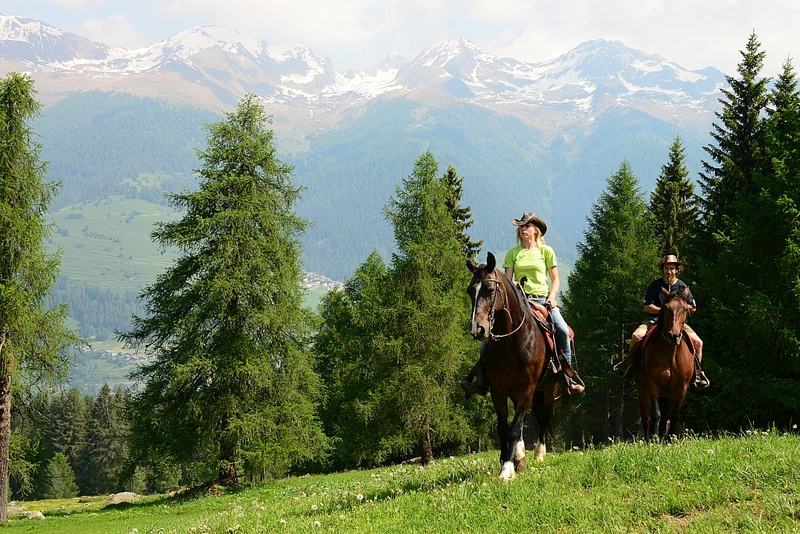 For short walks is not a minimum number of participants and longer excursions are organized for a minimum of 3 – 4 riders.